I was talking with some people in a Skype thread about a conference pitch. The theme of the pitch was acceptance testing driven development (ATDD), and one of the points mentioned as a take away was having a better understanding of ‘shift-left’. Shift Left is the idea that testers should develop a skill set that allows them to get involved in testing much earlier in the development cycle, and also that companies should create a culture where that is possible. One person in the thread had a gut reaction and claimed that they hated the term shift-left. They dismissed is as nothing more than a buzzword people use to get talks. I think buzzwords are meaningful, let me tell you why. The basics of agile are that development groups should take smaller pieces of work and release more often. The more complicated version of that is that teams should have members capable making software incrementally that can be delivered at any moment. That is the idea, but ideas are misunderstood all of the time. In practice, companies take their months long waterfall and compress it into a two or three week sprint. Planning, development, and testing cycles all exist within just a few weeks. Enter the idea of shift-left. Shift left is a starting place for a conversation. People go to conferences, hear a talk about how some tester learned about API testing or pairing with a developer (a la Extreme Programming), and bring the idea back to their companies. Over the next few months that tester helps find bugs in the software before the User Interface is ready. After that they start working with developers, coaching test design, and eventually working on pair programming to make code quality a little better. Over the next year, this way of working spreads to other groups in the company and other testers start working more closely with their development counterparts. All because of a buzzword they heard at a conference. The same thing has been happening with DevOps. A few years ago, people started talking about DevOps at conferences. Shortly after people on twitter and in blogs began dismissing the term as a useless buzzword that wasn’t adding value to the development world. DevOps had always been around and wasn’t anything new. While people were dismissing the word, others were out there doing the work — building automation frameworks, building monitoring systems, building rollback tools, and integrating everything together into a system that facilitates releasing software several times everyday. Phrases that might be common and ‘buzzy’ for some of us that stay connected and read a lot are completely new ideas for the average of software development. 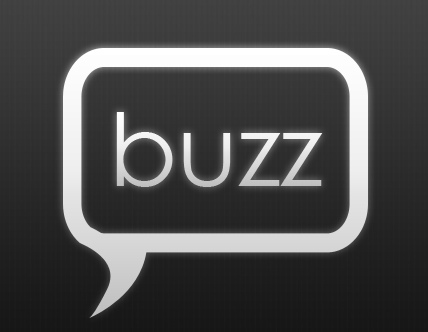 I think buzzwords are valuable because they allow a concept to travel quickly and easily to people that don’t keep up with the latest developments in software development. Shift left is much easier to say than “create an environment and culture where testers can work effectively much earlier in the development process’. People not understanding what that phrase means, and asking about it, means the buzzword is working its magic. I do agree that buzzword is a meaningful term.